Are you an electrical engineer, hacker, or maker looking for a steady dose of reliable product reviews, technical insight, and EE musings? If so, Dave Jones is your man. The Sydney, Australia-based engineer’s video blog (EEVblog) and podcast (The Amp Hour, which he co-hosts with Chris Gammell) are quickly becoming must-subscribe feeds for plugged-in inquisitive electronics enthusiasts around the world. The April issue of Circuit Cellar features an interview with Jones, who describes his passion for electronics, reviewing various technologies, and his unscripted approach to video blogging and podcasting. Below is an abridged version of the interview. NAN: When did you first start working with electronics? DAVE: The video story can be found at “EEVblog #54 – Electronics – When I was a boy…” www.youtube.com/watch?v=XpayYlJdbJk. I was very young, maybe six or so, when I was taking apart stuff to see how it worked, so my parents got me a 50-in-1Tandy (RadioShack) electronics kit and that was it, I was hooked, electronics became my life. And indeed, this seems to be fairly typical of how many engineers of the era got started. By the time I was eight, I already had my own lab and was working on my own projects. All my pocket money went into tools, parts, and magazines. The electronics magazine industry was everything back then before the Internet and communications revolution. I would eagerly await every issue of the Australian electronics magazines like Electronics Australia, Electronics Today International (ETI), Applied and Australian Electronics Monthly (AEM), Talking Electronics, and later Silicon Chip. NAN: Tell us about some of your early projects. DAVE: Given that it was over 30 years ago, it’s hard to recall I’m afraid. Unfortunately, I just didn’t think to use a (film) camera back then to record stuff, it just wasn’t something that you did as a kid. The family camera only came out on special occasions. So those projects have been lost in the annals of time. NAN: You have many interests and talents. What made you choose engineering as your full-time gig? DAVE: There was no choice, electronics has been my main hobby since I can remember, so electronics engineering was all I ever wanted to do to. I’ve branched out into a few other hobbies over the years, but electronics has always remained what I’ve wanted to do. NAN: The Electronics Engineering Video Blog—EEVBlog—is touted as “an off-the-cuff video blog for electronics engineers, hobbyists, hackers, and makers.” Tell us about EEVBlog and what inspired you to begin it. DAVE: I’ve always been into sharing my electronics, either through magazines, via my website, or on newsgroups, so I guess it’s natural that I’d end up doing something like this. In early 2009 I saw that (WordPress-type) blogs were really taking off for all sorts of topics and some people were even doing “video blogs” on YouTube. I wondered if there were any blogs for electronics, and after a search I found a lot of text-based blogs, but it seemed like no one was doing a video blog about electronics, like a weekly show that people could watch … So I thought it’d be fun to do an electronics video blog and blaze a new trail and see what happened. Being fairly impulsive, I didn’t think about it much; I just dusted off a horrible old 320 × 240 webcam, sat down in front of my computer, and recorded 10 minutes (the YouTube limit back then) of whatever came into my head. I figured a product review, a book review, a chip review, and some industry news was a good mix … I’ve had constant linear growth since then, and now have a regular weekly audience of over 10,000 viewers and over 4 million views on YouTube. Not to mention that it’s now my full-time job. 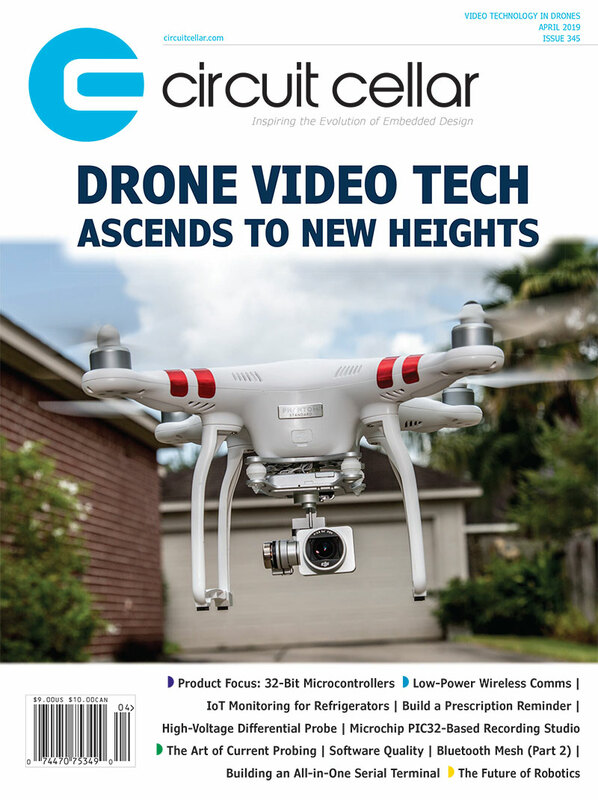 The complete April issue of Circuit Cellar is now available. For more information about Dave Jones, his video blog, and podcast, visit www.eevblog.com and www.theamphour.com. This entry was posted in Interviews and tagged CC261, design, DIY, EE, interview by Circuit Cellar Staff.